This entry is part 3 of 3 in the series Cycling Eifel Germany. 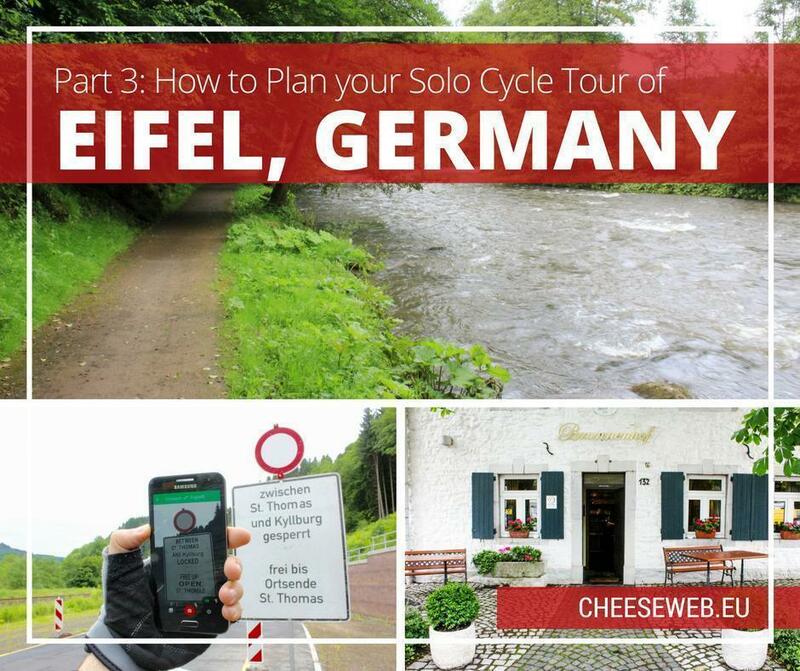 In my last two articles, I shared the sightseeing highlights of my solo cycle tour through Germany’s Eifel region; from Aachen to Stadtkyll and Stadtkyll to Trier. Today, I’m sharing practical tips and advice on how to do a similar cycling tour yourself, including where to stay, how to book your trip, what to watch out for, and an overview map of my route. 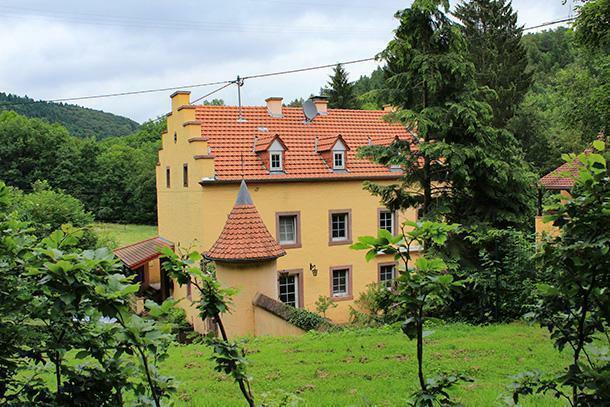 My trip came as a tour package, booked through Eifel Tourismus, aimed at cycle tourists. It is called Trans-Eifel Fascination, and it is available in western or eastern version. 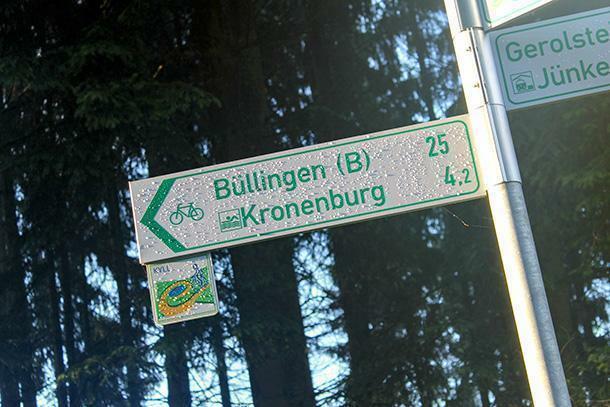 I did the Eifel-Überquerung Ostab or Eifel Crossing-East. The tour package includes six hotel nights and breakfast, for 249€ per person in a double room (single rooms available on request). 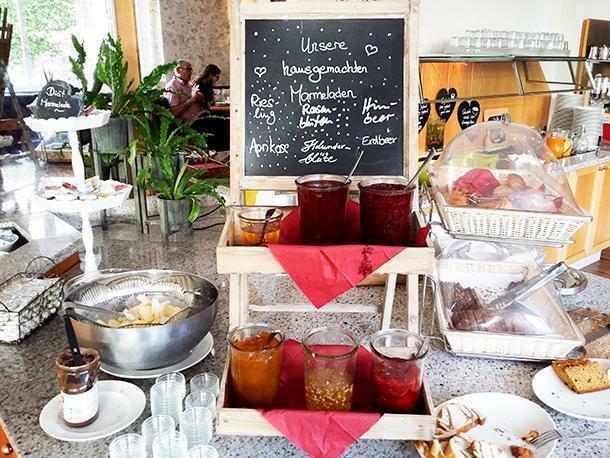 Breakfast is a buffet, with options varying from one hotel to another, but always decent and tasty. You can add additional options to your tour package. A luggage transfer option allows you to travel light and have your heavy bags sent directly to the next hotel. Also, a packed lunch option allows you to take away what you like from the breakfast buffet, for further refreshment on the road. My first impression of the tour documentation was great. Eifel Tourismus sent me several Eifel-related magazines, but most importantly, a detailed guidebook of my tour, with the complete map, hotel contact information, the stages with their respective profile graph, and even details about the surface (gravel, asphalt, main road, etc.). Too bad the first inconvenience came as soon as I took my first glance at this detailed documentation: it is all in German. I am far from rejecting a language or culture, but with all my consideration for the Germans and the German language, I think it is essential to communicate in English in a touristic context. I felt sorry I have no knowledge of German, having never studied the language, as I was eager to read the information they provided me. Luckily, I had Google Translate on my smartphone. Sometimes it helped me; sometimes it did not work well. When it came to points of interest in the places I visited, most of the time I had to use Wikipedia. The language barrier was also present at some of the hotels. 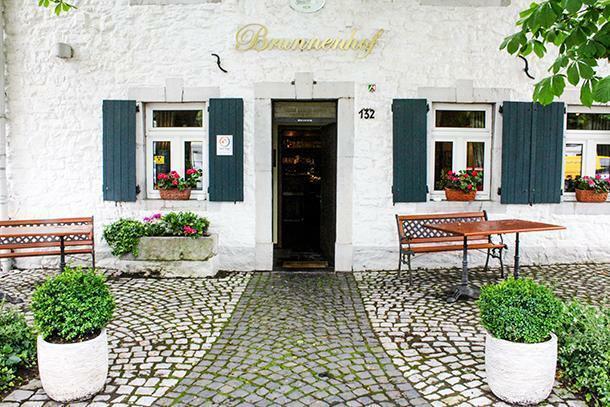 At Hotel Brunnenhof (Aachen-Walheim), the female owner spoke decent (if limited) English, while her husband did not. Also, the woman at the restaurant spoke a little bit of French. At Hotel Hotleu (Waimes), I spoke French with the personnel; therefore I did not have the chance to ‘test’ their English. Given the rather classy standard of the hotel, I assume they were accustomed to Flemish and other foreign tourists, so I would expect them to speak English also. The first surprise came at Ponyhof (Stadtkyll), where they could only speak German. 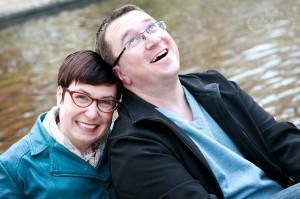 They were kind, though, and our limited communication was funny and functional. I asked my questions in English, they answered in German, and my limited knowledge of Dutch helped me understand the essentials, thanks to the similarity between the two languages. Google Translate was also helpful when I wanted to speak a basic phrase in German. 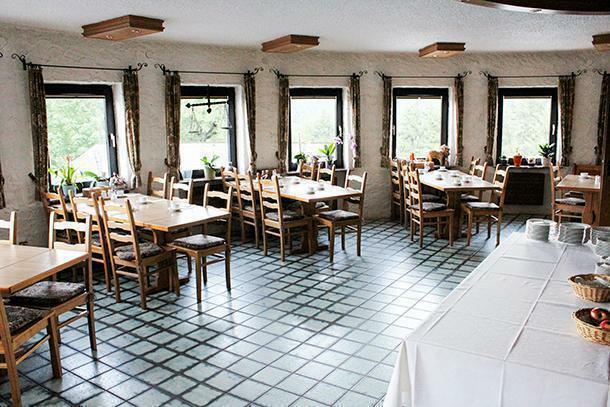 The situation was similar at Hotel zur Krone (Birresborn), but again, a smile and a kind tone of voice solved everything. Surprisingly, though, in my room, I found a magazine in English and another one in Dutch, both from the Eifel Tourist Board. 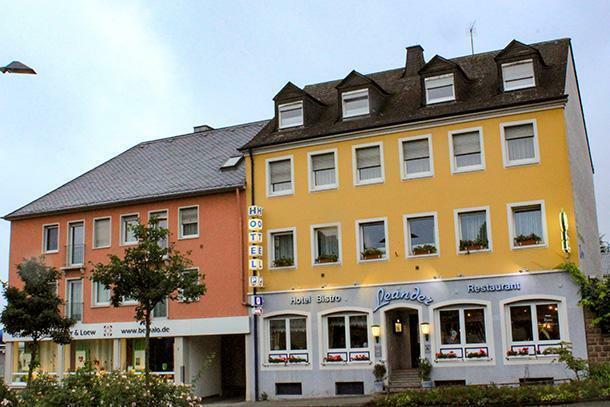 The language situation got easier once I arrived in Bitburg, where all the staff at Hotel Leander spoke English. The same goes for Hotel Deutscher Hof in Trier, despite the handwritten welcome note in my room being in German. Speaking of hotels, as a traveller with limited requirements, my opinion is clear: they were all great, even though the standards of accommodations vary. 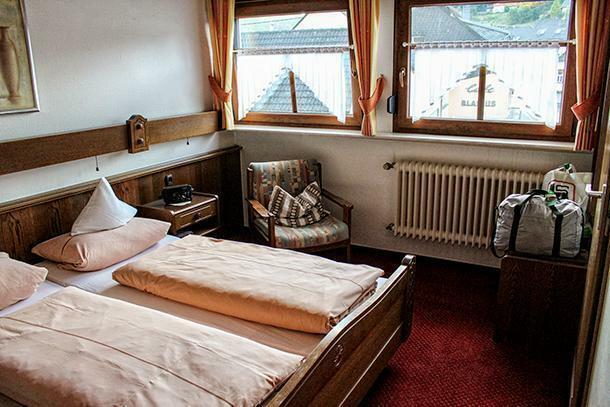 Brunnenhof, Ponyhof, and Leander were cosy, family hotels. 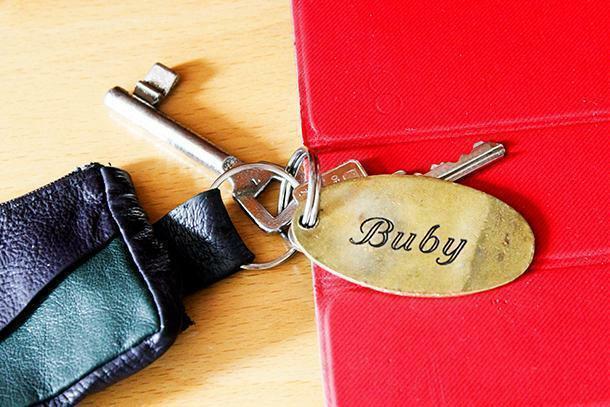 Fun fact: Rooms at Ponyhof had cute names instead of numbers – I stayed at Buby, next to Togo. Hotel Hotleu and Deutscher Hof were larger, stylish hotels, with more facilities, while Hotel zur Krone was a mix of both worlds. 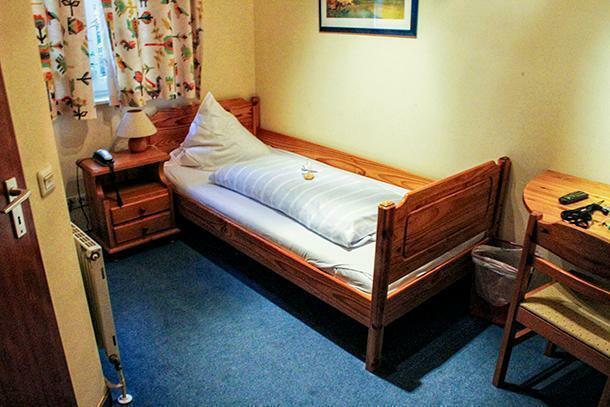 It was located in an old building with antique furniture, but it had large, comfortable and fully equipped rooms. Regarding hygiene facilities, you can expect various degrees of supplies; from towels and soap only to hair dryers, shampoo, shower gel and more. It’s best, however, to have your own toiletries just in case. 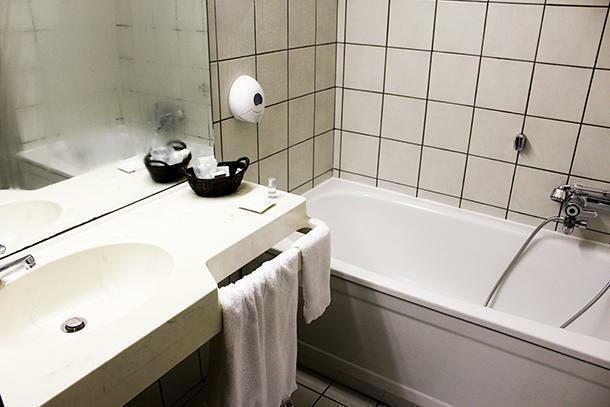 Bonus Tip: The bathroom at Hotel Hotleu was the only one fitted with a bathtub rather than a shower stall. 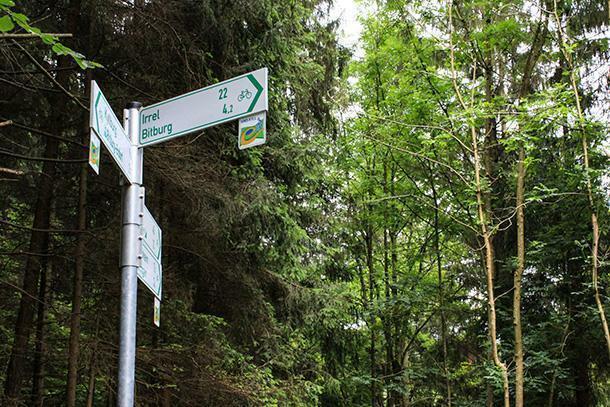 The Eifel tour is guided by specific green-on-white signs, aimed at cycle tourists. Most of the time, they are easy to follow. However, at some points, I wasn’t paying attention and missed some turns. It happened several times along the way. In one case, I even missed the same turn twice, leading me on an extensive tour of the small village I was crossing. Normally, it wasn’t a big deal. When I didn’t see any signs for a while, it meant I was off the track, and I either went back to the last sign I remembered or checked my GPS. 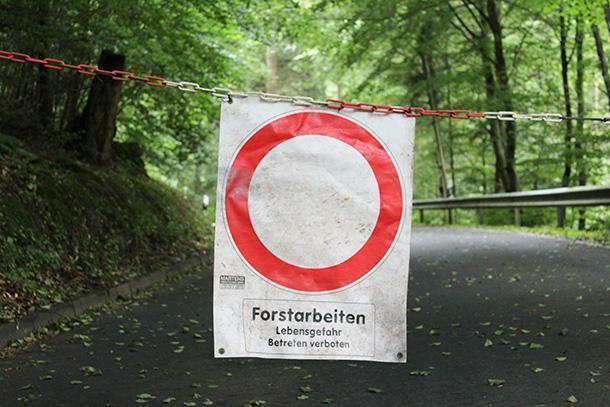 In one particular case, this lack of attention led me to a closed road, with a frightening sign telling me there’s a danger of death because they were working in the forest. I did not dare go further into the forbidden area, so I turned around to reach the previous village. The worst part was this dead end came after a long descent, and I had to climb all the way back uphill. Bicycle locks! At the hotels, bikes are usually stored in a garage. However, while travelling, you may need to park your bike somewhere and explore the surroundings on foot. You can’t climb the stairs or steep paths to the various viewpoints by bike. It would be a pity to give up seeing them just because you need to watch over your bike. I have a friend who loves his bike so much; he would never leave it out of reach – don’t be like him! Essential bike repair tools and spare parts (tire tube, pump, tire levers, keys, screwdrivers,) in case something goes wrong and needs fixing. A smartphone with GPS navigation and (offline) map applications. I used mine frequently to discover interesting places nearby or to find my way back when I got lost. To avoid roaming charges, I used maps.me, Here WeGo (formerly Here Maps) or the offline map feature in Google Maps. Translation apps- I used Google Translate, with the English and German packs made available offline. When online, I also used Wiktionary.org. Fruits, biscuits, snacks, or anything that can be used as a pretext to stop at the picnic tables installed along the way. It’s nice to take a break in beautiful nature. Take a look at the video I put together to get a real taste of what my cycle tour of Eifel, Germany was all about. All in all, my solo cycle tour of Eifel, Germany was a great experience I would definitely like to repeat someday. I am sure there are a few important places and sights I have missed because there is never enough time to quench my travel thirst. Could you please discover them for me? 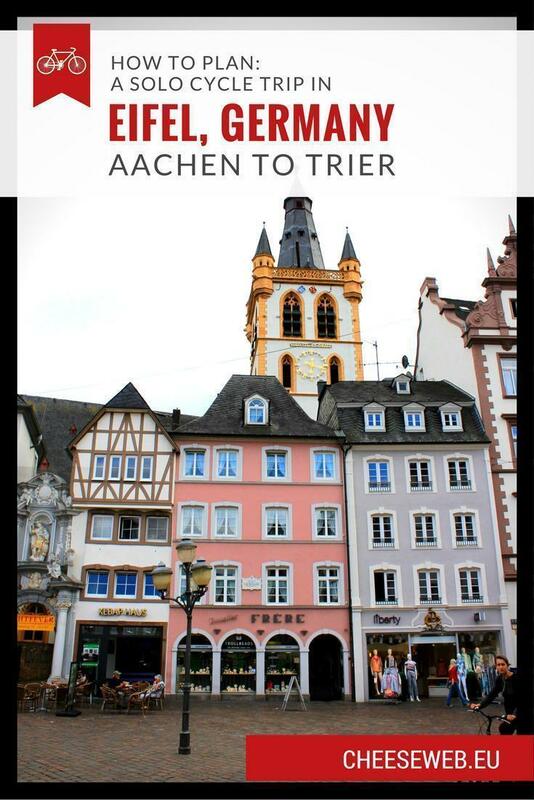 We would like to thank Eifel Tourism for sponsoring Adrian’s cycle tour of the area. As always all opinions are those of our writers alone.